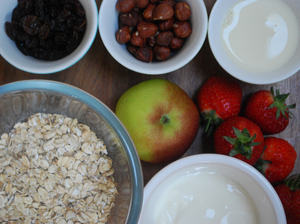 Bircher muesli is a great way of getting a lot of goodness into your child which is so important at the start of the day. 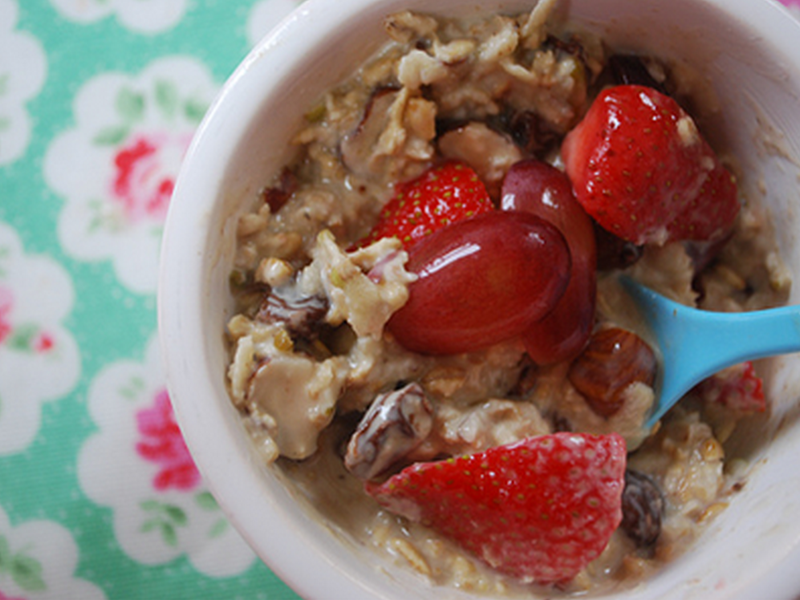 Oats offer slow releasing energy, and the apple, raisins and natural yoghurt is all topped with fresh fruit. If your children are young they might not like the hazelnuts being so chunky – so either leave them out or just make sure you crush them finer. 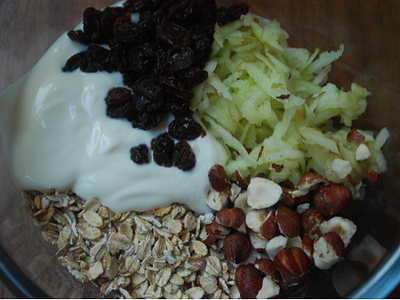 You can adapt this recipe with any dried fruit and nuts. I chose strawberries as my topping however any fresh fruit works. This is also great for eczema sufferers; just make sure you use coconut milk as cow or soya may aggravate. Crush the nuts (see Notes). Next, simply place everything (except the strawberries) into a bowl and mix. Place the mixture into the fridge overnight. 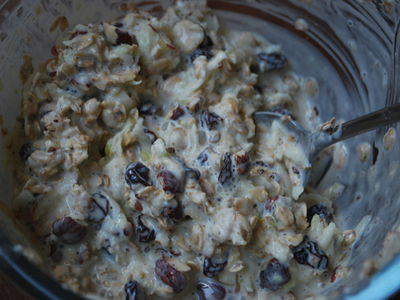 The oats will soften and swell, as will the raisins taking on lots more sweetness. It will have thickened up quite a lot overnight, so give it a bit of a stir through. I often add a splash of soya milk to help loosen slightly. 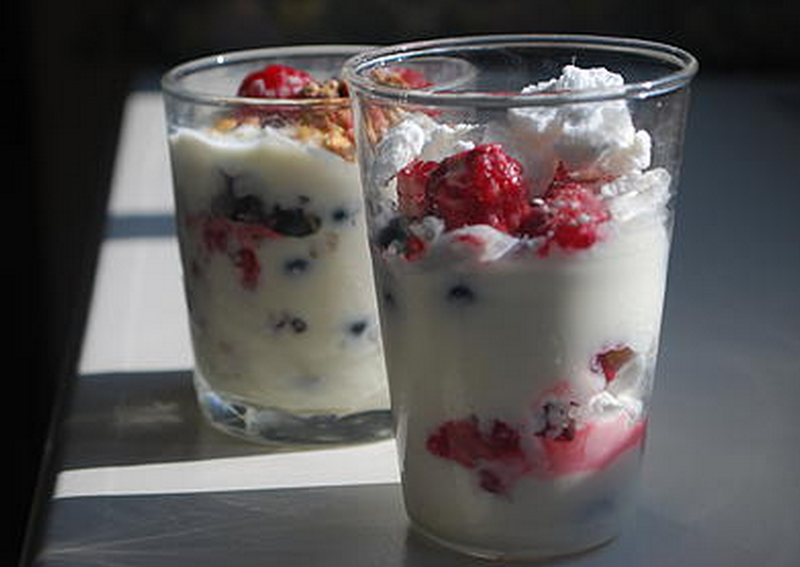 Enjoy topped with seasonal fruit or berries and a drizzle of honey. 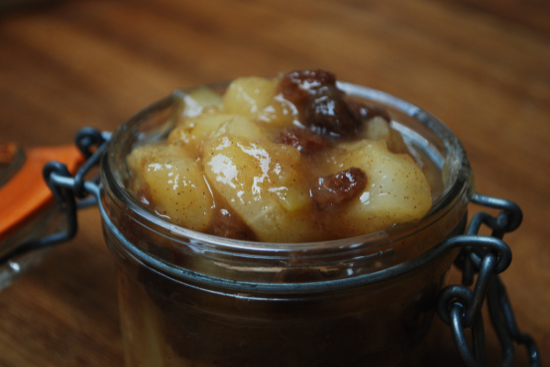 Why not try grating pear into this instead of apple? It's just as delicious! 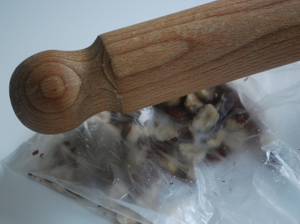 When crushing nuts I often place them in a food bag and bash them with a rolling pin. It can save a lot of mess!